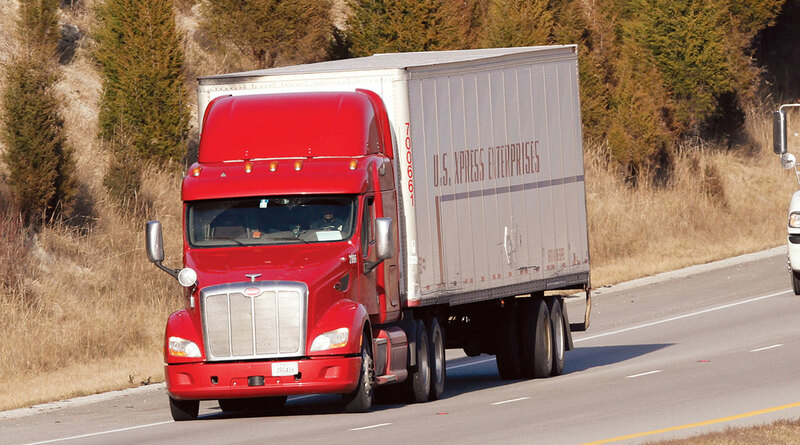 Truckload carrier U.S. Xpress announced May 8 it intends to pursue an initial public offering of its Class A common stock, and the Chattanooga, Tenn.-based company has submitted its paperwork to the U.S. Securities and Exchange Commission. The carrier says it will be listed on the New York Stock Exchange under the symbol “USX.” The number of shares of stock to be offered and the price range for the proposed IPO haven’t been determined, and no date for the IPO has been set. Bank of America Merrill Lynch and Morgan Stanley have been chosen to act as the lead book-running managers. J.P. Morgan and Wells Fargo Securities will act as additional book-running managers, and Stephens Inc., Stifel, and Wolfe Capital Markets and Advisory will act as co-managers for the proposed offering. Founded in 1985, U.S. Xpress ranks No. 21 on the Transport Topics Top 100 list of for-hire carriers in North America. It also is the seventh-largest for-hire carrier in the truckload/dedicated sector.